The Son Bonet Airport was built on Mallorca during the 1920s as an alternative to the military airport Son Sant Joan, and is now mainly used for leisure aviation. Fighting the urge to turn around and face our fears another day, we met Valeria, a vivacious half-Spanish, half-English flight instructor and examiner, whose warm personality made us feel immediately at ease. Full of experience and fascinating stories to tell, she is the only qualified British flight examiner on the Balearic Islands. Unlike her parents, who wished for her to become an airhostess, she was more passionate about general aviation and flight instruction. After passing her pilot exams, she went on to teach others. She especially likes to fly planes that present a challenge and are not fully automated, though she is also qualified to fly a jet. Valeria first moved to Mallorca because of the family-friendly environment the Mediterranean island provided. Soon she realized the wonderful opportunities Mallorca had in store for her. According to Valeria, Mallorca is best described as a “cosmopolitan Mediterranean melting pot”. Having other islands in such close proximity allows her to make spontaneous trips whenever she likes. The process of obtaining a Private Pilot’s Licence will cost you approximately 7.500 €. A full medical check is your next step up towards the cockpit. You will need to present your documentation and then you will be ready to start the minimum of 45 hours of required instruction. Once you have completed your first flight without an instructor, there will be a small celebration with a glass or two of champagne to toast your well-earned accomplishment. You will also have to take some theory lessons that are available in both Spanish and English. The last step is passing the flight test at the end of your training. If the charming Valeria is the one to examine you, you will be assigned to one of her qualified colleagues for the flight training itself. Once you possess your Private Pilot’s Licence, there will be nothing standing in the way of your newfound freedom to fly the skies to just about any destination within four hours. Whether you want to meet up for a quick lunch on Menorca or to show friends the spectacular aerial views above the mountains, valleys and beaches of Mallorca, the sky is truly the limit! Landing in your own front garden is made easier with the acquisition of a Helicopter Licence – which will cost from 18-20.000 €. While this may seem like an expensive hobby, Valeria assures us it is not as expensive as sailing or skiing! Once you pass your test, your licence is valid in over 29 countries and you can rent planes from the Aviation Centre in case your personal budget does not allow you to purchase a private plane. You can also rent Valeria’s own plane: a Cessna 172 that seats four people. 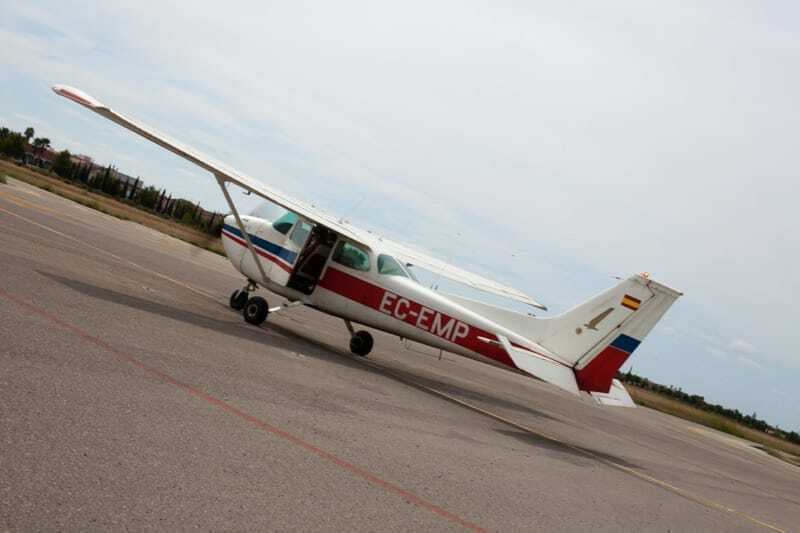 Fixed-wing aircraft must take off from and land at official airports of which there are two on Mallorca. Despite having had two difficult situations whilst flying alone, including an emergency landing in Mahon, Valeria is confident that a car journey to the airport is much more dangerous than flying. For her the danger associated with flying is a misconception based on catastrophic media and a general lack of knowledge about aviation itself. Airplanes go through a high standard of security checks. Unlike many people, Valeria thinks it is not the adrenaline rush that makes flying so addictive as much as the fact that it is nearly impossible to take your problems and worries with you into the sky, making flying a relaxing spa-like experience. One of the most exciting moments in Valeria’s flight career was many years ago when the team was asked to hunt for a stolen yacht. The search was organised with a lot of planes and after a great amount of teamwork, the yacht was spotted and returned safely to the owner. Valeria is not always aware just how inspirational she is for her students, encouraging them to go on and achieve their dreams. One of many was a young English pilot who already had a private pilot’s licence but wanted to get a commercial licence so he could become an airline pilot. He is now an accomplished pilot who travels to exotic destinations all around the world from his base in Hong Kong. Valeria’s colleagues describe her as a helpful person without any hidden agendas. Apart from learning how to fly your own plane, Valeria also offers all tests and revalidations for pilots, aeronautical English proficiency courses and interview technique courses specialised in the Aero Business. Just like other earthbound people, Valeria wishes for health, wealth and happiness in the future. She’d also like to see the aviation business expand with many more students. And last but not least, she wouldn’t mind a new airplane to fly her way towards all the great adventures life holds in store for her. We wish her a safe flight! 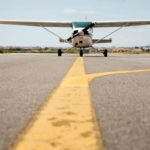 We hope you have found this article about the Learning to Fly Mallorca useful and that you have many memorable stays in Mallorca as a result of our recommendations.